Out of the clear blue of the western sky comes Sky King, a WWII naval aviator-turned rancher, who flies his twin-engine Cessna high above the Arizona plains. Accompanying Sky on his adventures are his nephew, Clipper and his teen niece, Penny. Welcome to the website of the Sky King Productions! We know the Sky King history, and for your entertainment, we have many interesting facts and photos on our website. 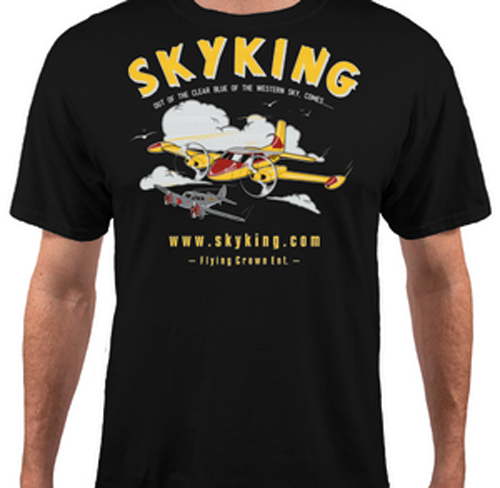 We invite you to read about the history of the Sky King series, browse through our collection of photos, and see the biographies of the beloved Sky King cast. 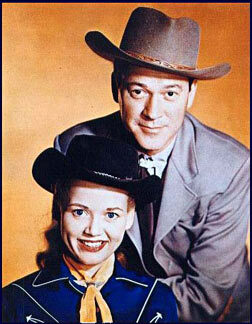 The television version starred Kirby Grant as Sky King and Gloria Winters as Penny. Other regular characters included Sky's nephew Clipper, played byRon Hagerthy, and Mitch the sheriff, portrayed by Ewing Mitchell. Mitch, a competent and intelligent law enforcement officer, depended on his friend Sky's flying skills to solve the harder cases. 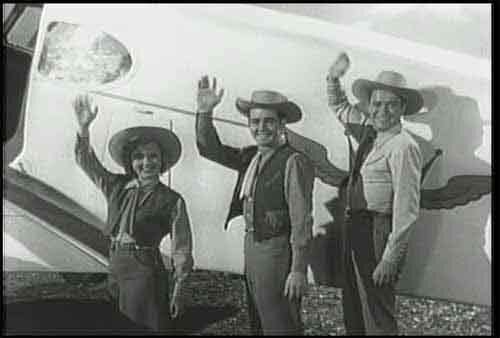 Other recurring characters included Jim Bell, the ranch foreman, played in four episodes by Chubby Johnson, as well as Sheriff Hollister portrayed by Monte Blue in five episodes, and Bob Carey, portrayed in ten episodes by Norman Ollestad. The television show was initially aired on Sunday afternoons on NBC between September 16, 1951, and October 26, 1952. 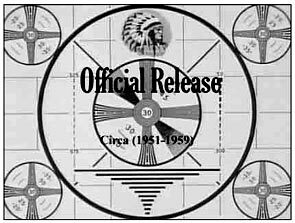 These episodes were reshown on ABC on Saturday mornings during the following year (November 8, 1952, through September 21, 1953). Later the show made its prime-time debut on ABC's Monday night lineup. 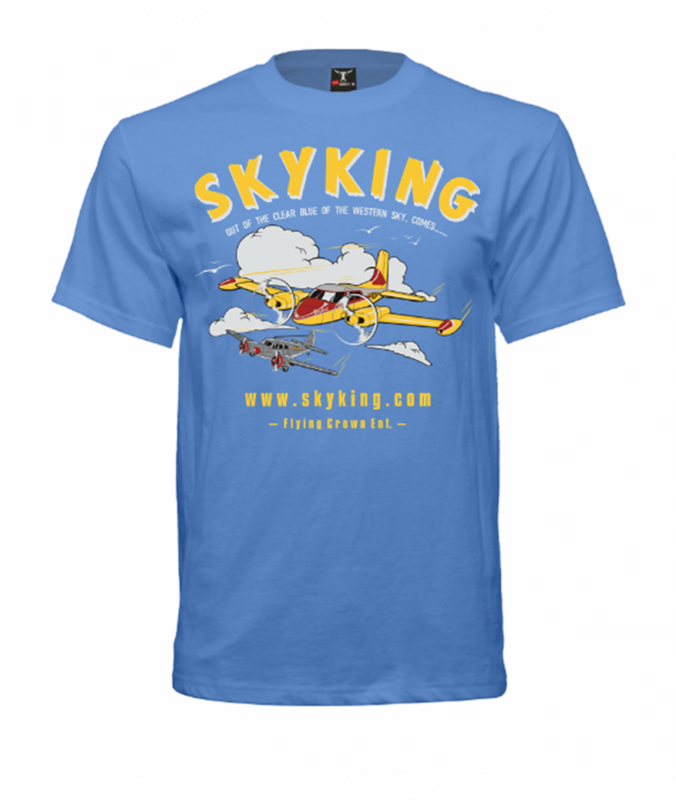 Get the full SKY KING series on DVD or VHS on sale here now! 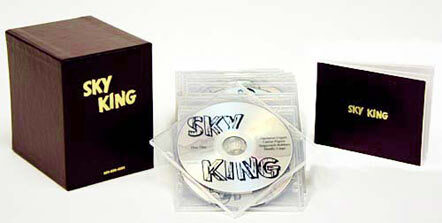 We proudly bring you the entire Sky King syndicated television series on DVD! With the permission of the original Flying Crown Enterprises, we have digitally re-mastered their original film from the Broadcast Masters. 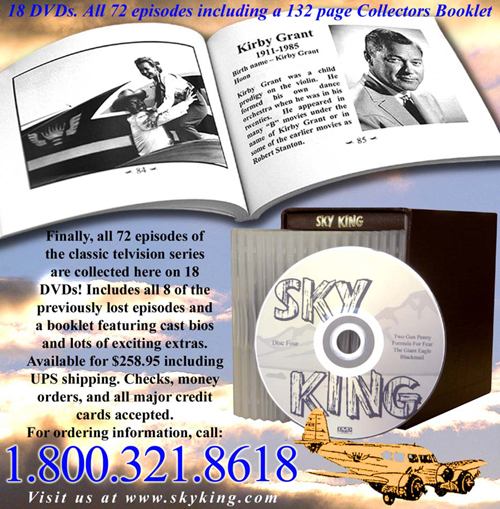 Get your set of the original, complete series of 72 uncut televised Sky King episodes, produced from 1952 to 1959. Get them in the 18 DVD boxed set or the 9 VHS tape set. Complete with their credits, the commercials alone are sure to bring back memories. will be included FREE with every set. You have been asking for t-Shirts and now we have them ! Two different designs featuring either the original Cessna T50 or the Cessna 310. These are heavy, high quality 6.1 oz 100% ring-spung preshrunk cotton. $20 + $3 ship. Aviation Meetup Groups Meet Other Aviation Enthusiasts in Your Area! SkyKing.com does not use your private information to advertise, promote, survey, etc. It is like you were never here and we are committed to protecting your privacy.